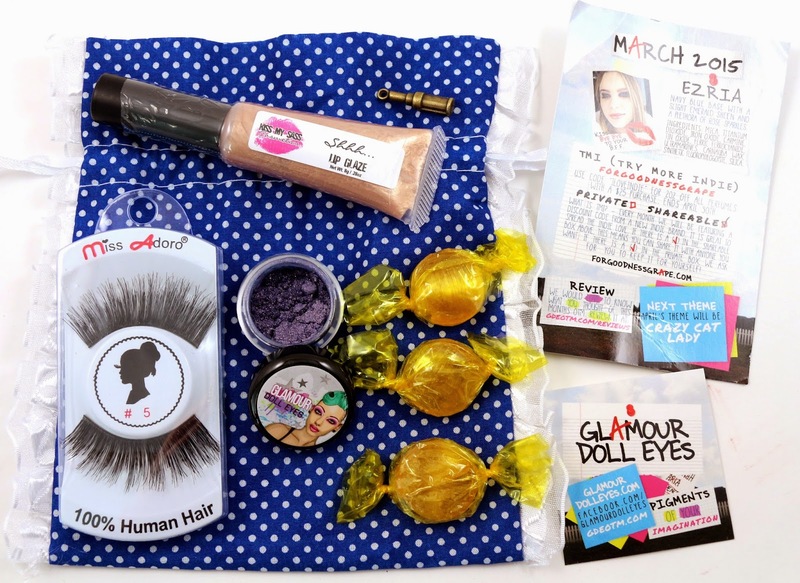 I am always excited to receive my Glamour Doll Eyes OTM every month, but this month was extra special because I was the face on the info card! Plus, I love the show the theme is based on, Pretty Little Liars. This month we received this cute blue and white polka dot bag, along with a spyglass charm to go with the theme, and some butterscotch candies. Shipping - The OTM always ships between the 10th and the 14th, and this month mine shipped on the 11th, and arrived 2 days later via USPS from Nevada to California. Product Size - The main eyeshadows and products every month will be full size, but sometimes there will be bonus samples included. There I am on the info card! 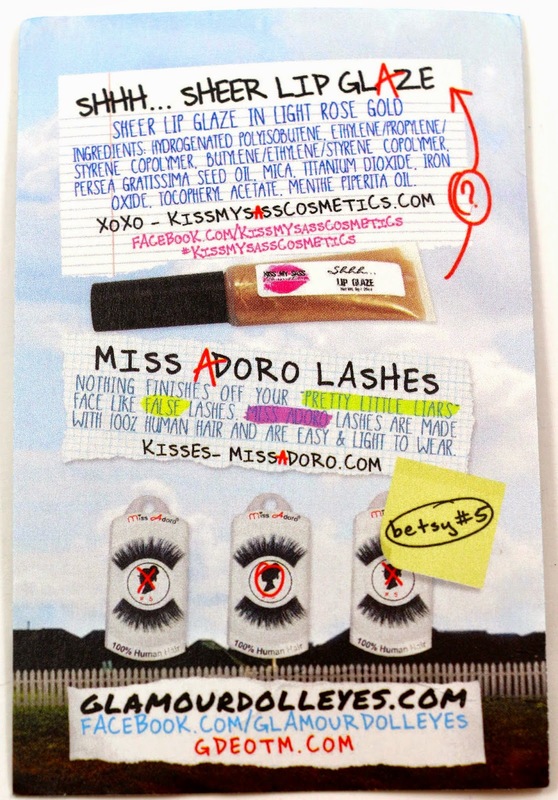 I think it's so cool that her designer uses the products in the OTM as part of the graphic design of each person on the card. I just love the look I'm wearing! TMI (Try More Indie): For Goodness Grape - Use code ILOVEINDIE for 20% off all perfume with $25 purchase (Expires April 30th). I have never tried For Goodness Grape, but it's s bit of a bummer the code has so many exclusions. I would be more likely to try their bath and body products than perfume. But being that the code is only good on a $25+ purchase and perfume, I probably won't end up using this one. 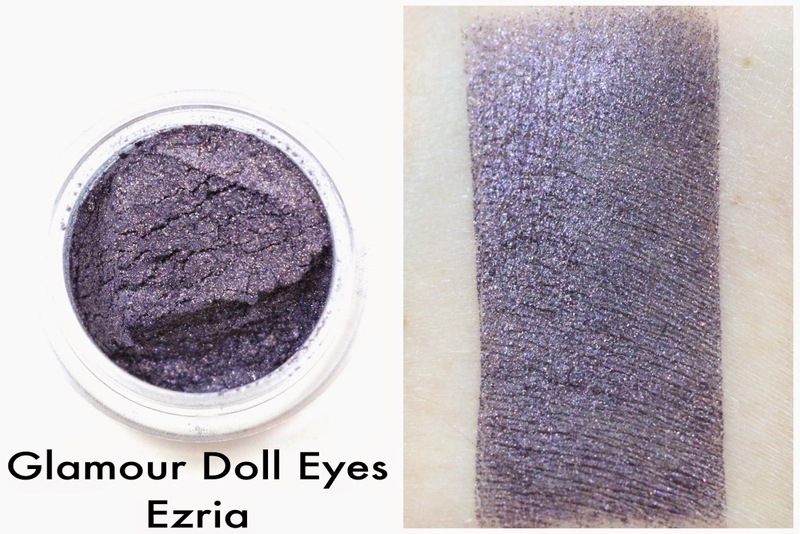 Ezria - "Navy blue base with a slight emerald sheen and a plethora of rose sparkles." I could easily see the rosy pink sparkles in this shade. I like that it's a navy blue base instead of black and super sparkly. Kiss My Sass Shhh... Lip Glaze - "Sheer lip glaze in light rose gold." This lip glaze just gives a slight golden glow to your lips. Otherwise, it's completely sheer. I like the formula though, it's thick enough that I feel like it will stay in place, but not sticky. It has a regular doe foot wand, which is ok. 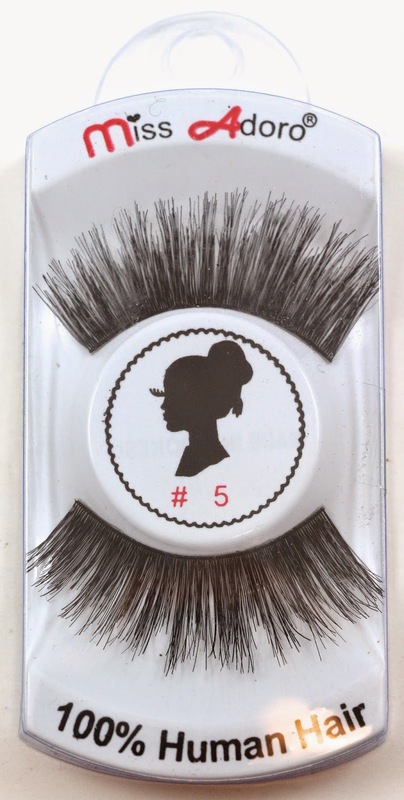 These are some pretty dramatic lashes, the only downside is that they do not come with any glue. But I bet they would go well with a dramatic smoky eye using Ezria. Overall, this month's OTM had a total value of $16, and this was an ok month for me. Nothing really wowed me this month. 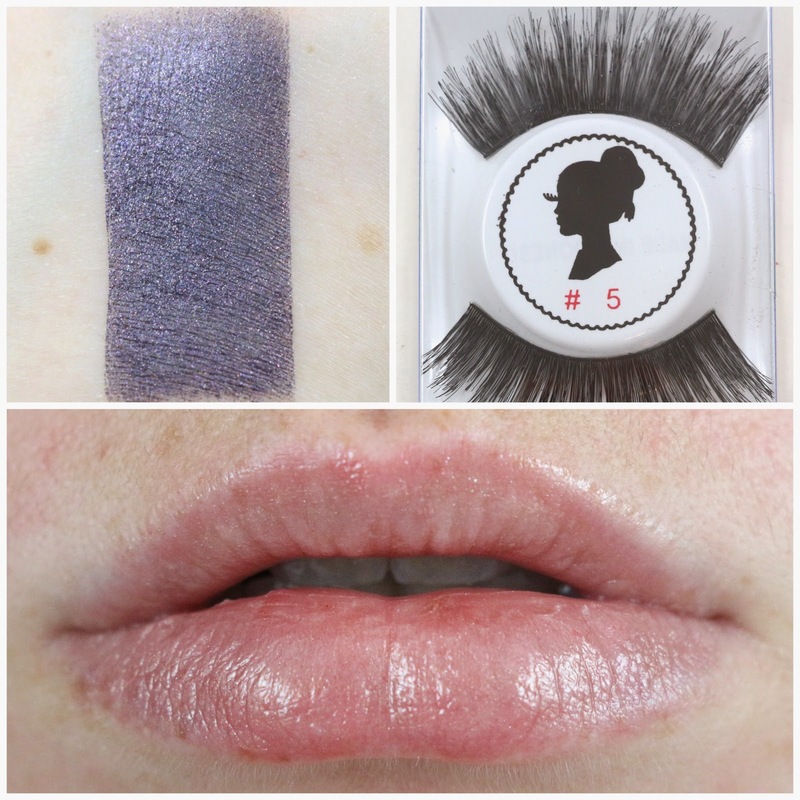 The shadow feels like something I have many times over in my collection, the lip glaze I would prefer with more color, and the lashes may or may not get used. I'm terrible at putting on lashes, so those are a little iffy for me. I do really like the theme though, everything feels like it fits with the show Pretty Little Liars. I cannot wait for next month's theme "Crazy Cat Lady"! Availability - This month's OTM is no longer available, but look out for next month. Because of demand and problems with the website crashing, next month's subscriptions will be lottery based, and you can enter here. Overall Satisfaction - Not my favorite month of the OTM, but I'm looking forward to next month! Any available subscriptions go up on the 8th of every month, March will be a lottery. Next month's theme is "Crazy Cat Lady"! Wow, congrats on being the model on the card! That is so cool!! I hope you frame your card or do something special with it. (Maybe charge for autographs? lol). But it looks awesome, congrats again! Thank you! I think Vee is always welcoming photo submissions, your makeup doesn't matter. As long as it is a full head shot, she will consider it! You can always email her with yours!